We are very proud of the work our students have produced over the four years our course has been running. Please click on names on this page to view cohort which started in 2016, use links below to see work from other year groups, Enjoy. Many of our students also have profiles on Hiive. Please click on link above to view. "I have always had a passion for film and camera work, I came into this course completely clueless to film and now I feel confident enough to work independently on sets." Andrew was previously a qualified electrician before he wanted to change his whole career path and pursue something he loved and enjoyed. He has already worked on many set in his first year and gained a lot of experience. "I have worked on a lot of sets outside of my course with other year groups and I have learnt so much about film sets and how they should be run." He has also had work outside of the course and university with private clients using the skills he has learnt in the past years on the course. He wants to continue camera operating and working on his DoP work to captivate audiences with creative new shots and styles. Over the last year I have gained a keen interest in cinematography and camera operating, I feel my past experiences in photography have made this possible. I started ti work with cameras as soon as I started the course this then led to my first ever role on set being a camera assistant, this consisted of helping collecting camera gear for the main operator. I found that this was a great first insight into film as I got a good look into how a student set is ran the different roles and how they are done. I made a mental note of everything for my next work, I then looked at how the next set I worked on was ran and how it was different. From then until now I have improved my skills with cameras and the workings of a set, I have also looked into cinematography and aim hoping to pursue that in the near future working with lighting techniques and also trying to find different and new ways to shoot. When I first started the film course I immediately wanted to make a brand for myself, I felt this would be the strongest was to become recognised in the future if I ever started to make professional work. I started with a very basic name and have stuck to it so far ‘Andrew Davies Media’. This has worked for me as I have developed a logo, website, Instagram and business cards under this name with flexibility to change at any point. I am looking to start working professionally in making commercial work to start, I.e Facebook advertisement videos and training videos and moving onto other camera or cinematography work in the future such as films. At this moment in time I am in talks with a friend of mine Ryan Gilson about him working with me on client projects, his main focus will be working with the clients on getting the shoots arranged and also paperwork and the producing of the videos. If this goes well I feel I will have a larger outreach and more confidence to approach larger companies for work. I have messages local business in the area about working on some promotional videos and I have has some positive responses so far with one booked in and two more for meetings, hopefully this will help me build a professional commercial showreel that will again help me with bigger projects in the future. Grace is a freelancer based in the South West. She is currently studying Film and Media Arts at the University Centre Weston and is about to complete her second year. She has experience with directing, editing, screenwriting, animation and storyboarding. Looking to develop a career in directing, Grace has directed several short films, two of which with professional actors Rory Wilton and Emma Spurgin Hussey (Doc Martin and Poldark). She has also helped out on other projects too. For more information, click on the links below. One young wishes he could go back and re-live his childhood, a time where he was free from any worry. A short film based on the phenomenon of sleep paralysis. Most people will experience sleep paralysis at some stage in their life. However, it is most common in psychiatric patients and students. Here is my take on what it feels like to experience sleep paralysis. Whilst walking along a beach in England, 19-year-old Jake Way stumbles upon an old message in a bottle which has been washed up on the shore. The letter inside details an important treasure buried somewhere in Madrid. Fuelled by the thought of an adventure, Jake travels to Madrid and goes in search of the treasure. A short psychological horror about a creepy doll named Wendy. The film is loosely based on true events. A mother elephant and baby elephant go for a walk through the African bush. This is a short animation that I made in response to an experimental brief set at college. It is the first 2D animation that I have ever made. I am currently studying Film and Media Arts Production FDA in UCW, My background is in visual art I also have a very technical background as my preivous career in the IT industry. Within film I have a keen intrest in editing and lighting as both are technical and creative and both fits in my mind set quite well. I have Experince being a Lighting Technicain from doing multiple student projects. I have also have expirence in sound recording. Most of my passion is in editing as I love learning new techniques and using new programs that give new exciting visual effects. Preview of Nip’s conference. Currently Editing. I was sound recordist for this short narrative film. Based on the British New Wave cinema of the early 60s, The Unwanted is a kitchen sink drama that revolves around adultery and an unwanted pregnancy. I provided the lighting for this short, client lead poetry video. Part one of a six part visual album of short poetry videos entitled A Certain Sense of Human Failure. I was the sound recordist for this experimental short film. A young adult faces up to traumatic memorys from her school days. Short experimental film inspired by Polish theatre director Tadeusz Kantor. Made in collaboration with performing arts students from Weston College. Highly ambitious and motivated, my broad range of experiences give me a great range of transferrable skills, a good all-rounder who can approach tasks with dignity. Bringing wisdom in my years, with an ever-lasting youthful enthusiasm and passion for creativity. A level headed team player, with a caring and sensitive nature I am able to motivate and encourage others. My proactive approach to tasks and can do attitude make me a valuable asset to any team, a problem solver who works well under pressure. I have been a dedicated and passionate photographer since 2008, my photography always aimed to tell a story, I embarked upon my long term ambition of becoming a filmmaker in 2016 and am currently studying Film and Media Arts Production at UCW to aid me in this ambition. In 2017 I set up my own travel documentary brand called Explorer Buddies, working in partnership with my husband. Making travel documentaries for our YouTube channel, focusing on our travels in our own hand made camper van. I also write blog articles on our website Explorerbuddies.co.uk. In a short time I have made some very fast progress. I have achieved 15k followers on Instagram. We have over 5k subscribers to our YouTube channel, with views of over 30k on our most popular travel documentary. We were signed to a media agent – Media Drum World and an article in the Daily Mail was published telling our story. We were invited to be ambassadors of a handmade camper van festival Camp Quirky. We have developed the production values of our films, with each new film we produce, incorporating new filming and editing techniques and improved film making equipment. The first film I have produced inspired by my previous conceptual photography work. My photography work always aimed to tell a story and I would try to achieve this in stills, I always envisioned my concepts as movies, limited by my technical abilities I would realise these instead as still photographs, I am now taking the opportunity to turn those concepts into moving images. Copyright permission given, big thanks to Slipmatt for sorting this out for me, you should all go and show his channel @thedjslipmatt some love, also make sure you have this tune in your playlists, it's just celebrated its 25 year anniversary since it entered the UK charts in the top 10! First mini assignment set for me, in my first year on my UCW Film and Media Arts Production course. Assignment was to capture an everyday event, so the most important event of any day has to be coffee right? 2017 was the year Florence was transformed, from a dated 90's factory fit Talbot Express to the charming, homely Camper Van we see today. The build was finished in June 2016, taking just 6 weeks of dedication and hard work to complete, on a very low budget. Florence and the Morgans are back! In this series we road trip around Scotland, taking in beautiful scenery, finding epic free park ups and enjoying Vanlife in Florence, our 1990 Rustic self conversion Fiat Ducato. In this episode we set off on our journey, and discover Loch Lomond, the stunning drive towards Glencoe, Loch Etive and the Isle of Skye. My Name is Rob Moth and I'm based in Weston-Super-Mare, near Bristol, England. You can see my latest work online at http://robmoth.weebly.com . As a self-taught filmmaker with a background in both Music Technology and Photography, I have extensive and valuable skills in both video editing and sound mixing, as well as experience in colour grading and cinematography. I am always looking to sharpen my knowledge in all audio-visual mediums, including sound engineering, installations and experimental media, alongside a passionate and dedicated study of the psychology of editing and film grammar. 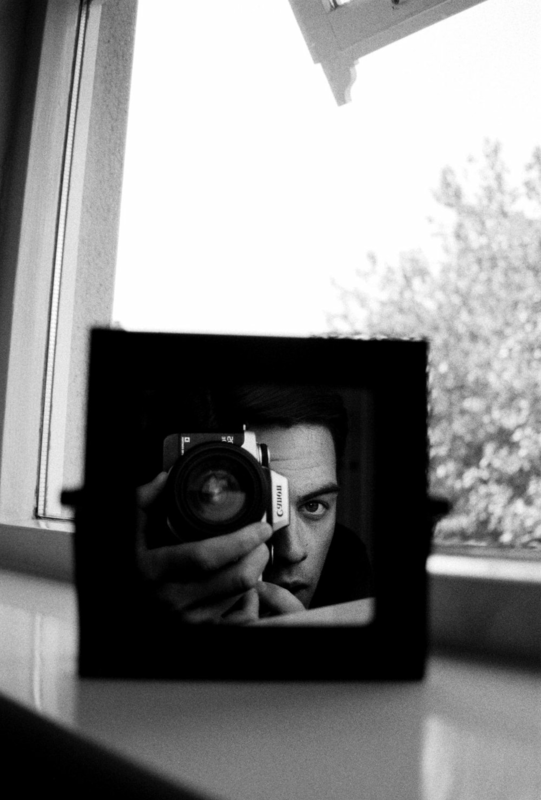 Clay is a lifelong follower of narrative film with a creative interest and passion for directing and cinematography. The way that images in film are framed and composed in such a way that they complement the mood and emotional impact of the story being told fascinates him and he is constantly looking for new and interesting ways to expand his creative knowledge of such techniques. Aside from a keen interest in cinematography he has written numerous screenplays with Celtx, six of which he has made into short films outside of his university studies since 2006, alongside the five he has developed into short films during his recent studies whilst working with professional actors. During the next year of studying, he wishes to further broaden his horizons by seeking work on professional film sets and also furthering his ideas development and screenplay writing skills. Clay has an almost bottomless pool of ideas for narrative and documentary films to further hone his directing and cinematography skills with. Current showreel of films made between 2016 and 2018. A gifted and passionate photographer, Mathew Berg develops his latest provocative creation in a dark room. As the photo slowly develops, the personification of the subject from his photo confronts him about the nature of her creation, forcing him to confront repressed feelings of desire. This is a teaser trailer for a short film that will be released in May 2019. Anna, a male to female transsexual, digresses into her former male identify to avenge the death of her lover at the hands of a prejudiced drug dealer. Inspired by classic revenge films, Digression is a tense thriller in which the lines between gender and identity separate. Official selection NAHEMI Eat Our Shorts 2019. My second film for the Independent Practice module. Inspired by the dialogue driven films of Jim Jarmusch and the naturalism of Richard Linlklater, Token is a disarming conversational drama that evolves beyond playful banter into the darker territories of human interaction. The first of three films created for the Independent Practice module. Cycle is the foreboding and repetitious tale of an isolated drug addict who finds himself trapped in a time loop that forces him to confront the emotional cycle of his addiction. Created for the Style and Meaning module and based on the British New Wave cinema of the early 60s, The Unwanted is a kitchen sink drama that revolves around themes of adultery and an unwanted pregnancy. A deep sea diver sinks ever deeper into the dark depths of the ocean and his own tormented psyche. Inspired by the animated works of Norman McLauren and Mamoru Oshii, Void Dive was created for the Experimental Media module by scratching and colouring directly onto 16mm film stock. Created for the documentary module, Encroachment is a poetic mode documentary that explores themes of mankind’s ever increasing encroachment over nature. An apathetic man faces the psychological turmoil of using a home blood test kit in a sparse, claustrophobic bathroom. The Test is a short psychological thriller created for the Everyday Activity module and my first university film. Im currently in my first year studying an FDA in Film and Media arts. I'm an aspiring film maker, and love working with music. Before i joined the course i had already made several music videos and I am keen to make many more. I enjoy Directing projects and writing. I also love coming up with creative ideas and narratives for short-films or music videos. I like to interpret my ideas boldy and souly into my work. A student film - short scene of a classic noir women savaging her husband and planning to poison him for all his money. John is based in Weston-super-Mare and is a first year Film student at UCW. He has spent the last year exploring his skills in various stages of production and has ultimately decided that directing is his strongest role. Although John hasn't been able to further develop his writing skills as much as he would've liked, the scriptwriting unit sparked his passion. In the upcoming academic year, he will be taking every opportunity to write more scripts and hopes to work as a scriptwriter and Film Studies/English teacher once he graduates. Em is currently in her second year of Film & Media Arts Production at UCW. She has spent the majority of the year tackling the role of Producer on 'Serpentine', a short film starring Rory Wilton and Emma Spurgin-Hussey, and hopes to explore this role further going into her third year. Em has written, produced and co-directed her own short film, 'Back To You', which is set to be released in late May 2018. A passionate writer with a particular love for screenwriting, she has previously worked as a staff writer for Affinity Magazine. Although focusing more recently on producing, she is keen to push her writing capabilities to the limit and explore the world of publishing and script adaptation for the remainder of her degree. An exploration of the open road in American film, taking you on a visual and emotional journey through the eyes of filmmakers. Inspired by my own friendships with internet "strangers", this documentary details people's experiences with friends across the globe and the pros and cons that come with it. Follow-up film is coming in September 2017. A collaborative project with the Performing Arts students at UCW. Filmmakers: Andrew Davies, Robert Moth & Emily Turner. Based on the theme 'everyday activity' and inspired by my personal home comforts. A mock trailer created for the contextual studies module, based on disaster films and my script which can be found here. This was an edit inspired by Marvel's Bucky Barnes, created purely from a fan perspective. It was a great opportunity to refresh my editing skills. 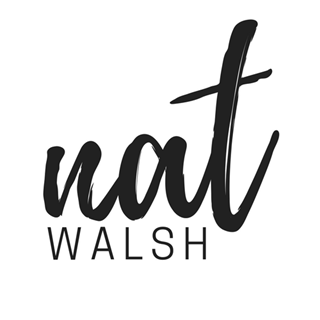 Nat is currently in her first year of Film & Media Arts Production at UCW and is based in Bristol, UK. Having studied Media at A Level, she found her passion within screenwriting. Over the last year, she has gained experience as a runner on set for films including 'Hitchiker' and 'The Lost Letter', even traveling as far as Madrid, Spain. All of Nat's on-set experience has given her the opportunity to study each role being carried out, and allowed her to determine where she would like to focus her skills in the upcoming year. She is hoping to pursue screenwriting and directing opportunities and further develop her editing skills. Created for the documentary module, this was one of Nat's first solo films. Written by Amber Sandys. Visuals by Natalie Walsh. Sound Mixing by Rob Moth. Whilst walking along a beach in England, 19-year-old Jake Way, stumbles upon an old message in a bottle which has been washed up on the shore. The letter inside details an important treasure buried somewhere in Madrid. Fuelled by the thought of an adventure, Jake travels to Madrid and goes in search of the treasure.